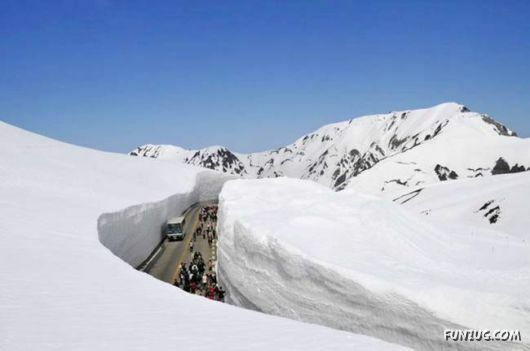 In Japan’s Toyama Prefecture is one of the most popular tourist destinations in Japan – Tateyama Kurobe mountain route. 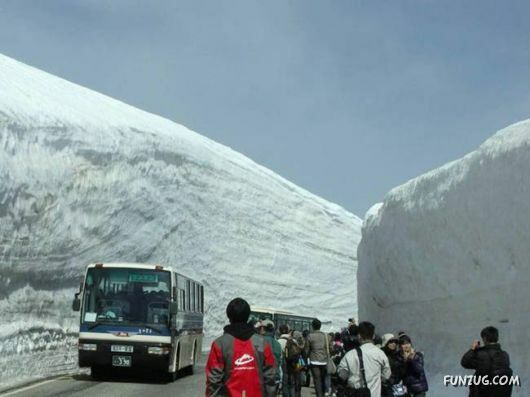 Go to Mount Tateyama in the spring can be reached only by road, which at this time of year is bordered by a huge column of snow. 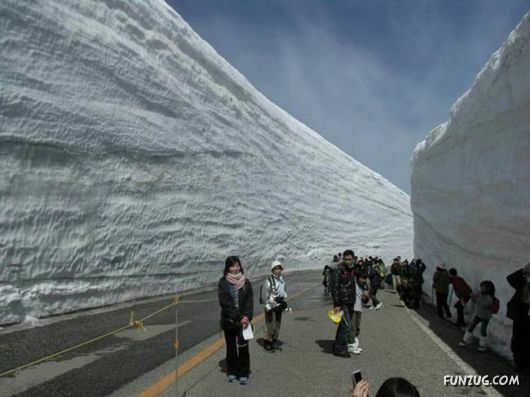 Tateyama is considered a sacred mountain and the Japanese tend to come here once in your life. 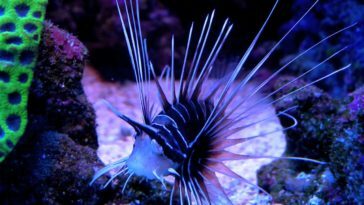 ?This travel companies, families and whole groups. 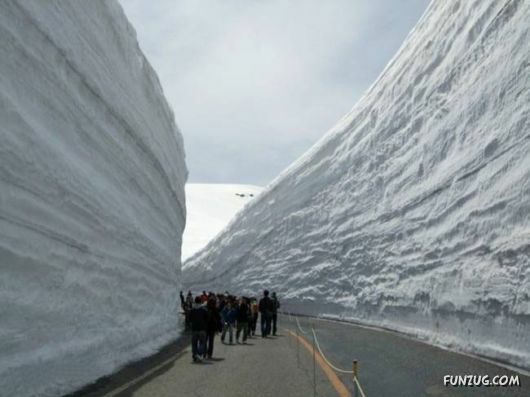 In the summer comes a lot of students. On the slopes of paved walking trails, enjoying great popularity among the advocates of a healthy lifestyle. 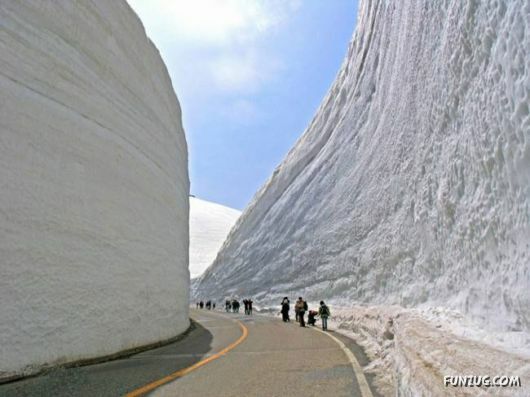 But the “peak” travel is in April-May, when they begin to dig out the snow from the highway and you can see this wonder of the world – snow corridor “Yukina-Otani”. 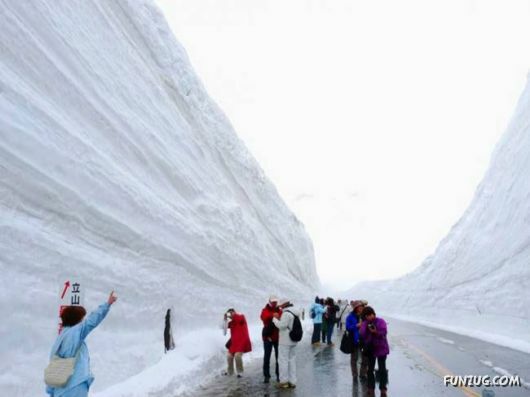 This “great wall of snow” has a height of 20 meters. 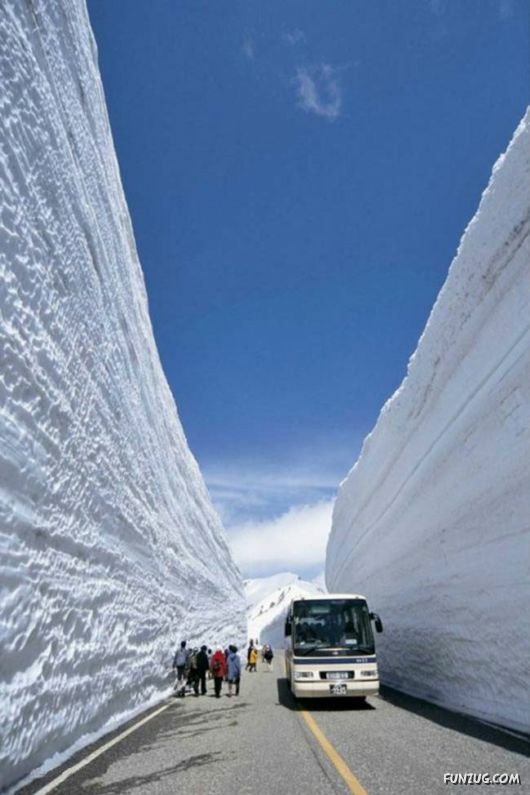 Corridor “cut through” in the thick snow, and that its axis coincides with the axis of the road on the side of the roadway has special multimeter with a pylon mounted radio transmitters in them. 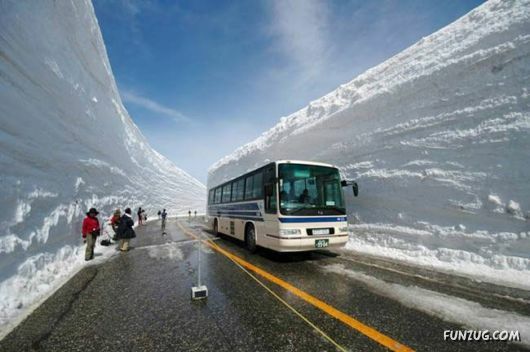 Travel by road private car is prohibited and is plying buses are equipped with electric motors so as not to contaminate the sparkling whiteness of the snow corridor walls.